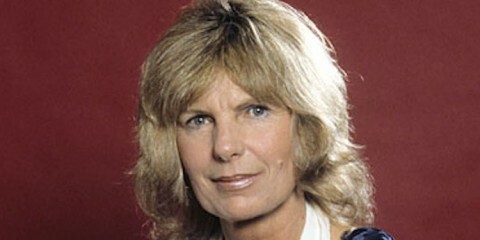 Tessa Le Bars is a lady who entered the entertainment world as a “Girl Friday” working for initially Associated London Scripts and then onto The Robert Stigwood Organisation. 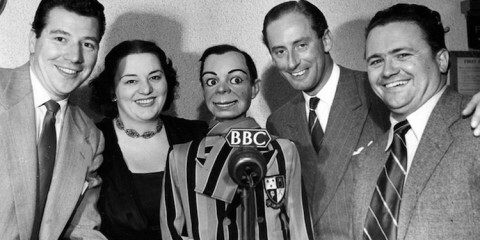 She went on to represent some of the biggest names in the world of British Comedy. Indeed it was Tessa who arranged for us to interview Ray Galton and Alan Simpson and who helped us put together our series Galton and Simpson Present. Despite being highly respected and well known within the entertainment industry our research turned up very little background information. We knew there must be a fascinating back story so we approached Tessa and asked if we could interview her. She kindly agreed. This is a fascinating story from behind the scenes of some of British comedy’s greatest talent. TLB: I was in my last year of school studying A level and secretarial courses and a friend who had left the year previously rang from the theatrical agency where she was a junior secretary to say they needed another Girl Friday secretary, I went for an interview with the A.L.S Management Director and agency boss, Beryl Vertue, and got the job. BCC: Was this just a part time job first foot into the world of work, or had you always wanted to work in the industry? TLB: I had no real intention to enter the world of show business, I was about the last in my sixth form secretarial class who had not got a job, so went for the interview. I found out later from my Mother that her family had all been involved in theatre, her Father was a property master, her Aunts were dresser and seamstress to some great names back then including Dame Anna Neagle, and her mother was busy bringing up 11 children – one new one arriving about every year after her husband came back from touring with theatre companies. I also soon realised that I was working with Frankie Howerd whom I had seen in A Funny Thing Happened On The Way To The Forum, on a youth club outing a couple of years previously. BCC: What was your next role and how did you become involved in the management side of the business, was it whilst still at The Robert Stigwood Organisation? 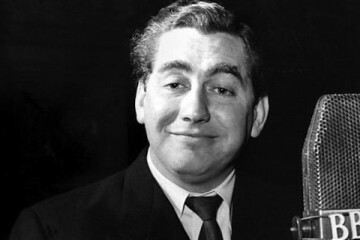 TLB: The job with Beryl was to work for the accountant, the publicist and do the fan mail and personal correspondence for Frankie Howerd, Ray Galton and Alan Simpson, who with Spike Milligan and Eric Sykes were all directors of the agency. I started with them in August 1965, fifty years ago. When the A.L.S. directors (minus Spike and Eric) decided to leave Orme Court, Bayswater in 1968 and join forces with The Robert Stigwood Organisation in Mayfair, I was invited to go with them. Once with RSO, I moved more into the clients accounts processing area as the Bayswater accountant had died, plus continuing with the other activities above, and eventually was involved with the ALS contracts and accounts management, and finally became a general manager for RSO Management as ALS had then become. When Beryl decided to move on to become a producer, someone was needed to look after Frank, Ray and Alan, and Johnny Speight – I had by then learnt something about the business overall and knew these clients very well on a personal basis, so in 1976 the change was made and Beryl went on to do great things as a Producer both in the UK and USA. BCC: How did you come to represent Frankie Howerd? And who now represents his estate, as there is much of his work that never gets a repeat showing in this age of multi channel TV which seems a shame. TLB: I took over from Beryl when she moved to America. I still represent the Trustees of the Frankie Howerd Trust but one cannot dictate to the TV companies what they repeat. A lot of his biopics and documentaries get repeated. I remind them when anniversaries are available as a hook – the next one will be what would have been his 100th birthday in 2017. Up Pompeii is probably deemed to be too non PC these days to be repeated. BCC: When did you meet Galton and Simpson for the first time and how did the professional relationship come about ? TLB: It would have been as soon as I joined ALS in 1965. I had to do their dictated personal correspondence and fan letters taken down in my now rusty shorthand. They would call me up for that purpose when they had a break in inspiration with their writing, and I would often find Alan lying on the floor… thinking… and Ray in his chair puffing on his pipe. Again I took over as their agent and manager when Beryl moved on to producing in America. BCC: Having been in the business for some time what do you7 feel the role of an agent should be? TLB: In my experience, an agent’s role is finding, shaping and concluding contracts to suit the client’s individual needs, talent and personality, breaking ground with new talent. I was only really involved with established talent. My role as a personal and business manager has been more involved in the client’s overall life, including personal, business and family matters, PR and publicity, their accounts etc. in addition to the above agent activities. BCC: Clearly the Galton and Simpson Hancock works were some time before you took on the role of looking after their affairs. 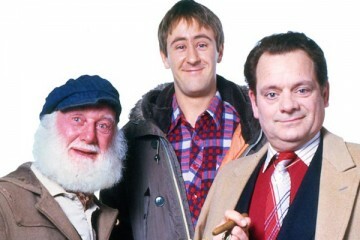 How did the Missing Hancocks come about and how did you all (referring to yourself Ray and Alan) feel about bringing back such an iconic series to a whole new audience, were their reservations over re-creating such an important and much loved piece of comedy bistory? TLB: It was actor Neil Pearson’s inspiration to explore the Missing Hancocks scripts. He is an antiquarian book specialist and had come across various TV scripts in that capacity which he sold. It included Hancock scripts and I think with an eye to becoming a Producer he came to us with the idea and said could he offer it to the BBC. We were of course wary about the enormous success and stature of Tony and how do you follow that ? Since we only discussed scripts that were no longer in any recorded form, they would be original in their own right and when he came up with Kevin McNally as a huge fan of the work and a great actor as well – it seemed worth a try and the BBC agreed. So he started working with BBC in-house co-producer Ed Morrish. BCC: You are well known for your work with Frankie Howerd and Galton and Simpson. Are their any other artists you have worked with now or in the past that we might know? TLB: While we were still part of the Robert Stigwood Organisation, having become RSO Management, Johnny Speight was one of Beryl’s clients, so he also became one of mine in 1976. Alan was taking a sabbatical at that time, so I suggested Ray got together with Johnny as a writing partnership and they wrote “The Tea Ladies” for BBC and “Spooner’s Patch” for Central TV. Johnny left Stigwood before I started Tessa Le Bars Management. BCC: The world of comedy, indeed the world of entertainment has changed dramatically over the years do you think it’s getting better or are we loosing our way? 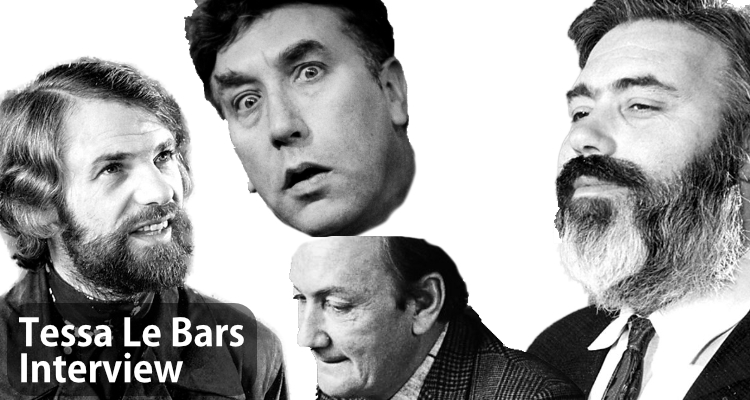 TLB: Fortunately I have been involved with some of the great characters in the world of entertainment with Frankie Howerd and Ray and Alan – their legacy will live on in whatever new technology evolves. As far as the talent involved in performance and writing – this obviously changes time and time again, with different styles evolving, pushing the boundaries all the time and that has mixed blessings. I think the public are a bit too self obsessed as individuals with all the self publication on youtube, facebook etc. too many reality shows because they are cheap television usually featuring Z-list so called celebrities or freak show members of the public. Thank goodness we still get a few wonderful theatrical productions and some new old fashioned sitcoms. 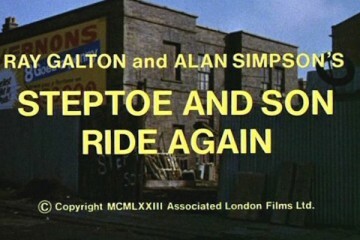 BCC: Your personal favourite Galton and Simpson work (ie Hancock/Steptoe episode or any other works)? TLB: Difficult to choose one, but S&S “Divided We Stand” has to be a favourite. BCC: What did you feel was Frankie Howerd’s best piece of work if we exclude Up Pompeii? TLB: On film “The House In Nightmare Park”, and on stage “Funny Thing” or his inimitable solo act on TV and stage, particularly with “Madame” at the piano. BCC: What do you feel was your own proudest achievement? TLB: My proudest achievement….. being able to learn the business from the bottom up enabling me to let the clients concentrate on their talent and productivity by taking care of all other aspects of their lives. BCC: Best show on TV at the moment any genre? TLB: At one end it has to be The Downton Abbey type of production but I also like the grotesque characters in Benidorm. 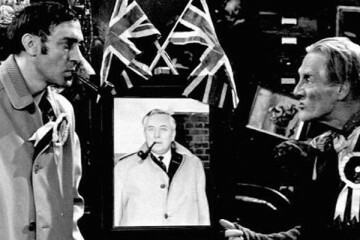 Tessa Le Bars, thank you for talking to British Classic Comedy.